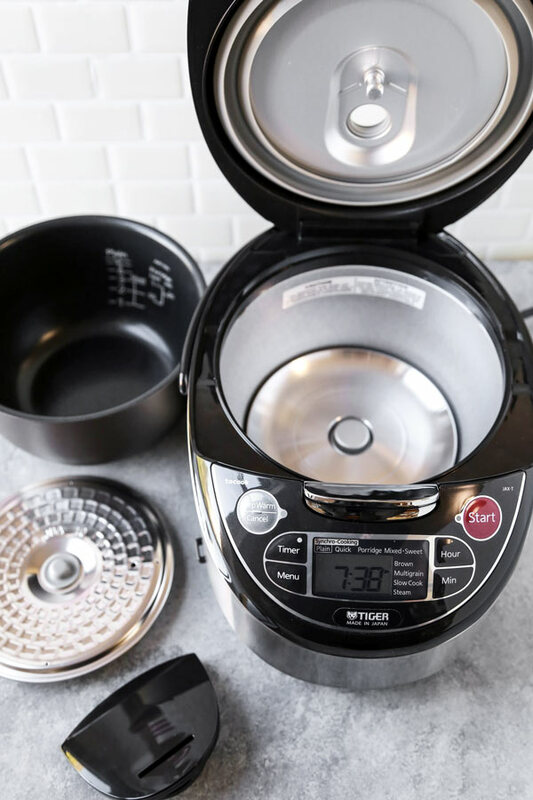 Maintaining your rice cooker on a regular basis will keep it in tip top shape and will ensure that the food cooked in it will always taste great. 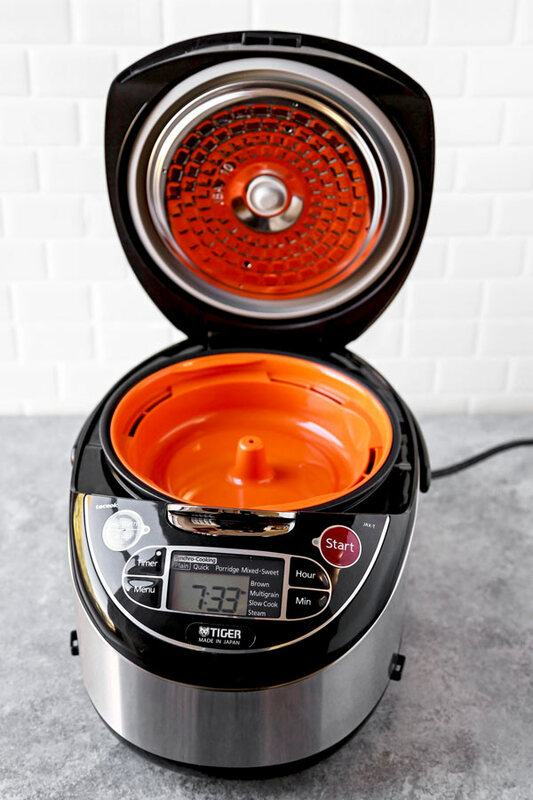 By cleaning your rice cooker regularly, you will get rid of abnormal odors and keep uncooked and watery rice from getting stuck in those hard to reach places. Here’s a quick tutorial on how to clean a rice cooker (we are using the Tiger JAX-T series for this example.) You may also refer to the video at the bottom of the page for additional information. 1. Let your rice cooker cool down to room temperature. Unplug your rice cooker and wait until all the parts (inner lid, inner pot and steam cap) have cooled down to room temperature. 2. Gently remove the parts. Remove the inner pot, inner lid, steam cap, gaskets (if any), dew collector, and spatula. Remove the inner pot using both hands and set aside. Remove the inner lid by using both hands and gently pulling it toward you. Set it aside. Remove the steam cap by inserting your fingers in the cut out and lifting upward. 3. Make your cleaning solution. Make a sanitizing solution consisting of 2 tablespoons of chlorine bleach, 2 tablespoons of dishwashing liquid and enough hot water to cover all the parts. 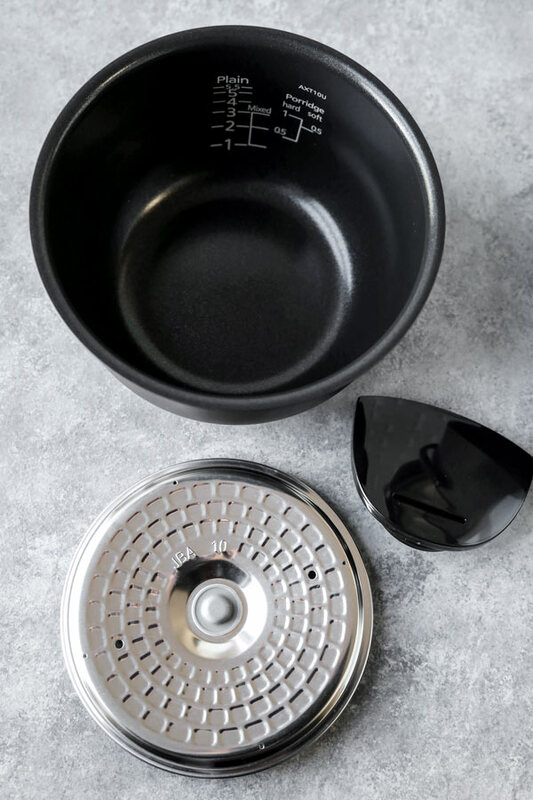 Essential Things To Know About Cleaning The Inner Pot. Never use the abrasive side of a sponge to clean the inner pot. Never wash dishes or kitchen utensils inside the inner pot. 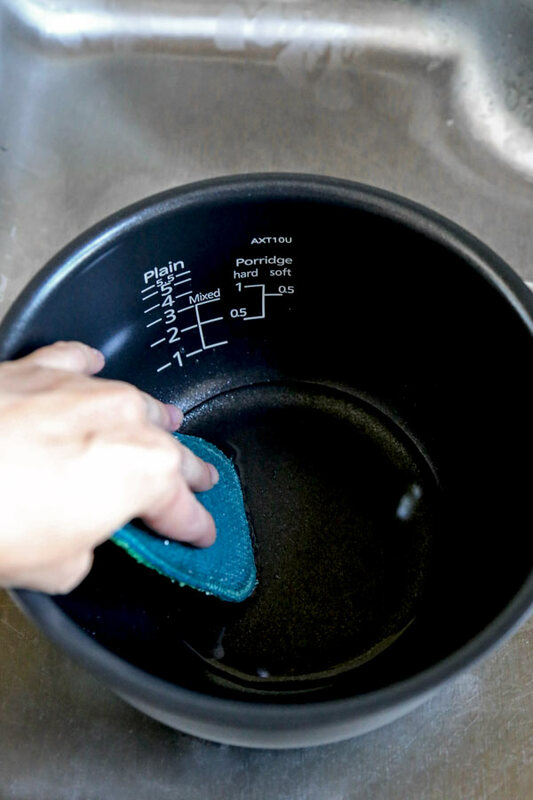 Never place the inner pot upside down or on top of dishes to dry. Any of these actions could result in permanently damaging the non stick coating. 4. Let the rice cooker parts dry. Before putting the rice cooker back together, make sure that all the parts are completely dry. We recommend cleaning each part separately using a soft cloth. 5. 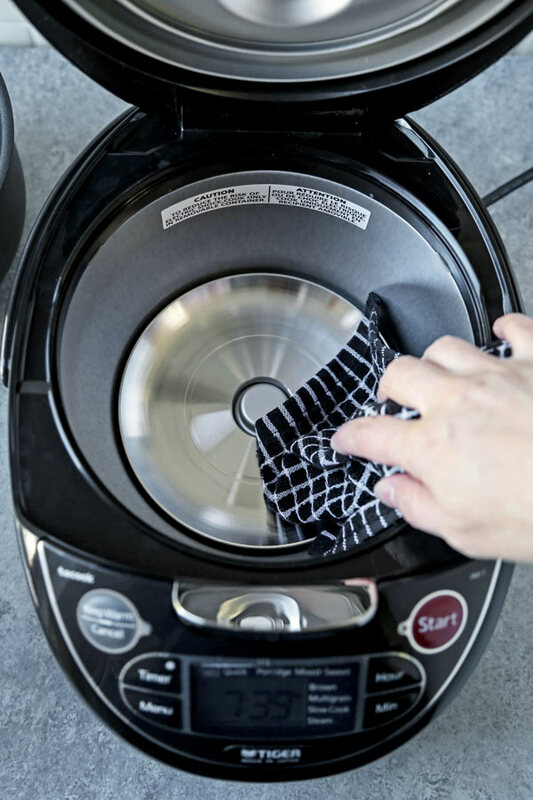 Clean the inside and outside of the rice cooker. Wet a towel or a cloth, wring out the excess water and wipe the inside and outside of the rice cooker. Wipe the power cord with a dry cloth. 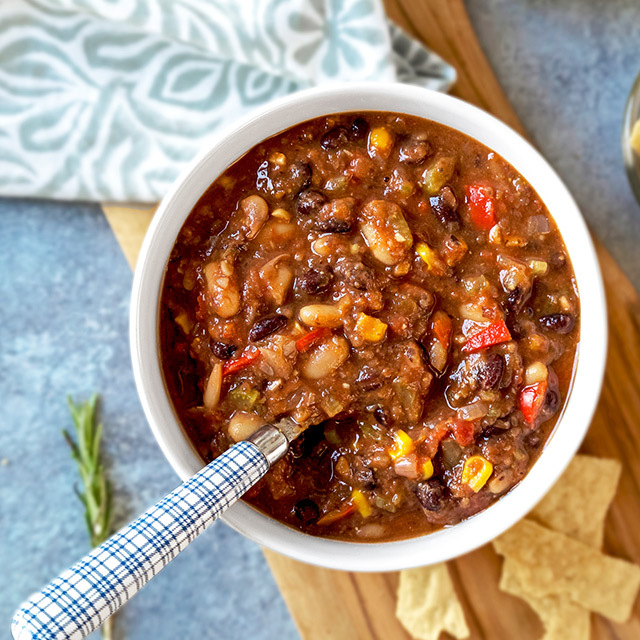 Remove any leftover grains or food you see on the heating plate and center sensor. Note: Avoid letting water get inside the rice cooker unit as this could cause the machine to short circuit. Watch our video for additional information on how to take care of your rice cooker or multi cooker!